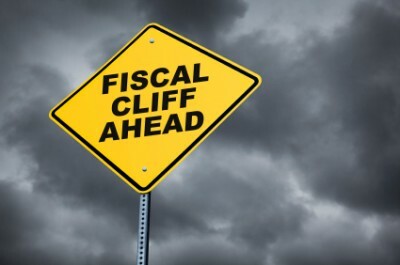 The term “fiscal cliff,” first used by Federal Reserve Chairman Ben Bernanke last February, refers to the simultaneous expiration of tax cuts and imposition of spending cuts on January 1, 2013. The American media has seized on the term “fiscal cliff” and promoted it, in part, to suggest that measures which would otherwise be enormously popular—ending the Bush tax cuts for the wealthy or cutting military spending—are threatening, even dangerous. The main purpose of the media propaganda about the impending “cliff” is to create a sense of financial emergency and override popular opposition to measures the Obama administration and congressional Democrats and Republicans will put forward to avert it, including sweeping cuts in Medicare, Medicaid and Social Security. This is bolstered by the reaction in the financial markets, where a sharp sell-off could well serve as a political club to ensure that the policies demanded by Wall Street are adopted in Washington. Far from an emergency that requires dramatic action to slash the federal deficit, the various components of the “fiscal cliff” are all consequences of legislation passed at various times during the Obama administration and can be averted by the passage of further legislation by Congress, regardless of whether that legislation adds to or subtracts from the deficit. Deficit reduction is not a requirement of any previous legislation, but a political mandate from the financial aristocracy, which is demanding that its two political parties take joint action to make working people pay for a fiscal crisis that is the product of the 2008 Wall Street crash and the trillions expended to bail out the banks and corporations. That the deadline is January 1, 2013 is politically revealing. In each of the bipartisan agreements between the Obama White House and congressional Republicans and Democrats—in December 2010, August 2011 and February 2012—the two parties acted deliberately to push back the decision until after the November 2012 elections, in order to prevent the American people from having any say on the measures to be enacted. The same considerations were at work in the August 2011 agreement to raise the federal debt ceiling, which was increased from $14.3 trillion to $16.4 trillion, a level the Treasury is expected to hit early in 2013, perhaps as soon as mid-February. This will provide an additional pretext for the two big business parties to enact further spending cuts, or it may become part of the proposed “grand bargain” between the Obama administration and congressional leaders. There are at least seven distinct tax and spending measures that will take effect at the end of the year, with a significant effect on the jobs and living standards of the vast majority of the American people. The estimate produced by the Economic Policy Institute, a liberal Washington think tank, places the total impact at $732 billion. The largest item is the expiration of the tax cuts first enacted under the Bush administration in 2001, originally to expire January 1, 2011. A deal between Obama and the congressional Republican leadership in December 2010 extended these tax cuts for two years, to January 1, 2013, as Obama capitulated to the refusal of the Republicans to accept any separation between the tax cuts for the wealthy and those for lower- and middle-income families. The deal also extended estate taxes at the low rate that prevailed in 2009. The same issue is posed in the talks between the White House and Congress set to begin formally this Friday, with Obama again claiming to oppose any extension of the tax cuts for families making more than $250,000 a year or individuals making more than $200,000 a year. These upper-income tax cuts alone account for $52 billion of the total. Drawing such an income line would require passage of legislation by both the Democratic-controlled Senate and the Republican-controlled House. If Congress deadlocks or Obama vetoes an extension, the tax cuts would expire for all income levels and the average working class family would see a significant reduction in take-home pay. Spending cuts totaling close to $1 trillion over ten years will begin in January, with the specific programs to be selected by the Obama administration based on a 50-50 split between domestic and military programs. These cuts were part of the August 2011 deal between the White House and congressional Republicans to raise the federal debt ceiling. This agreement enacted spending cuts of more than $1 trillion and provided for an additional $1 trillion in automatic cuts if a special congressional committee failed to reach agreement on further deficit-reduction. The so-called supercommittee deadlocked in December 2011, triggering the cuts that begin taking effect this January. The payroll tax that underwrites Social Security and Medicare was temporarily cut from 6.2 percent to 3.1 percent in December 2010, and that cut was extended through the end of this year in February 2012. The expiration of this tax cut will be felt as a 3.1 percent reduction in income for low- and middle-income families, more than the typical pay increase. It will mean a significant drop in real income. These benefits were coupled to the payroll tax cut as “stimulus” measures in both the December 2010 and February 2012 bipartisan agreements, but in the second deal the Democrats accepted a Republican demand to reduce the duration of extended benefits from 99 weeks to the current 73 weeks for the hardest-hit states, and from 93 weeks to only 63 weeks for most states. Now, even this inadequate level of benefits for the long-term unemployed is set to end, under conditions where more than five million workers have been out of work for six months or longer. One million long-term unemployed workers who have exhausted all state benefits will lose their extended federal benefits January 1, and a further one million will lose benefits in the first quarter of 2013. The AMT, first enacted in the 1960s as a measure against tax evasion by the super-rich, was never indexed for inflation, so tens of millions of upper-middle-income families could now come under its provisions. Congress has repeatedly adopted temporary “fixes” to delay imposition of the tax, most recently in December 2010, limited to taxes on 2011 income. If another “fix” is not adopted, or the AMT is not fully indexed for inflation retroactively, the number of families required to pay the AMT will rise from four million to 30 million next year, sharply increasing the tax bills these families will pay for income earned in 2012. As many as 80 provisions of the 2009 stimulus legislation introduced by the Obama administration and enacted by a Democratic-controlled Congress, or adopted in subsequent deals in December 2010 and February 2012, have either expired this year or will expire January 1. Most of these are incentives to business—$109 billion—while a small fraction, about $11 billion, represents tax credits or expanded deductions for working families. The most recent versions were incorporated into the December 2010 and February 2012 bipartisan agreements under the Obama administration. The latest one expires on January 1, 2013. If the much lower ceiling is imposed, with Medicare reimbursement cut by 27 percent, many doctors and hospitals may stop accepting new Medicare patients and even phase out treating current patients.